The Well Condos residents will easily access Toronto’s world-class system constantly. The neighbourhood is serviced by 13-plus different transit routes, hence has a 100/100 Transit Score. 410 Front Street will be home to a new and exciting mixed-use development, The Well Condos, a project that is being carried out jointly by Tridel, Allied Properties, Diamondcorp, Rhapsody Property Management Services and RioCan. Still in pre-construction, the condos were designed by one of Toronto’s trusted names in real estate – Hariri Pontarini with community in mind. This one-of-a-kind project will comprise 7 different towers rising to 13, 21, 36, 38 & 44 storeys high, and two 15-storey buildings. The six residential towers will house 1587 units that will include 792 one-bedroom suites, 517 two-bedroom suites, as well as 174 three-bedroom suites. Apart from residential space totaling to 1.43 million sq. ft. that includes condos and rental suites, the complex will house more than 500,000 sq. ft. of retail space, plus 1 million sq. ft. of commercial office space. The Well Condos is estimated to be completed in 2023 and although still in pre-construction, and considering The Well Condos location, layout, amenities and an amazing sense of community, registration is likely to fill up quickly. The Well Condos though still in in the conceptual phase will include amenities such as landscaped walks, large lounges, 24-hour concierge, a soaring lobby, communal centres, fine and casual restaurants, pools and grills, ultramodern fitness equipment in high-tech spa and fitness centre, as well as meeting areas. 410 Front Street, the site for The Well Condos is known to sit in the hub of the vibrant and rapidly developing area close to Wellington and Spadina, a place for urbanites and professionals who long to live at the at the centre of the action. The area has plenty of amenities including eateries, clubs and entertainment spots, parks, green spaces as well as recreational facilities. The complex sits in an area that has first-rate transportation which connects students to some of Toronto’s leading post-secondary schools fast. OCAD University students can be in school in 20 minutes by foot, while those at George Brown College, Ryerson University can take 20 minutes via TTC, and University of Toronto 25 minutes also via TTC. This makes the condos highly suitable for university students. The city’s landmarks including The Air Canada Centre, Ripley’s Aquarium, Rogers Centre, The Princess of Whales Theatre, Bell Lightbox, Metro Toronto Convention Centre, and CBC headquarters are all a short stroll from the condo complex. The Well Condos is actually less of a condominium project and more of a community. Its location in Toronto’s most beautiful and vibrant part makes it is a great place to reside, eat, work, play and shop and have endless entertainment. 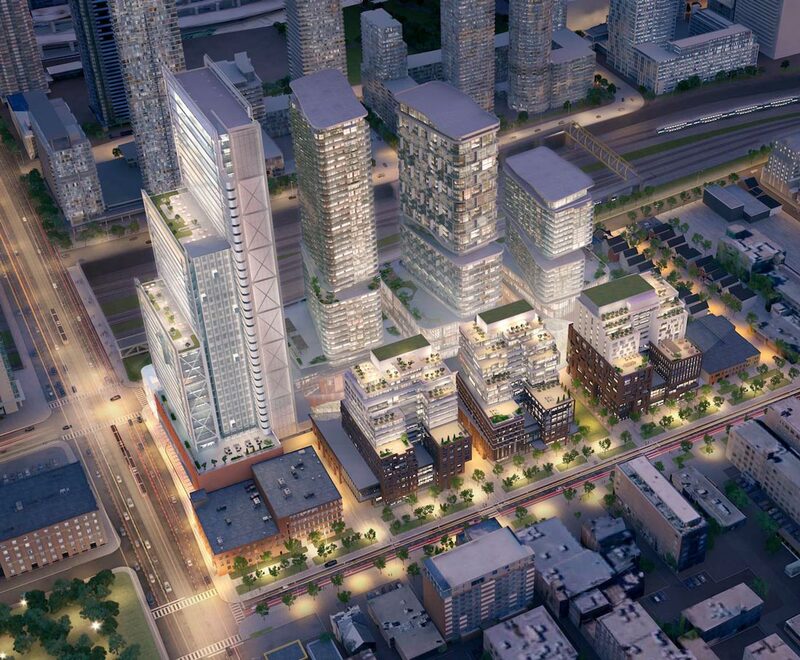 The condos offer a lifetime opportunity to invest in this part of downtown Toronto, a designated growth centre that has been on constant increase – thanks to density and jobs.